The scope of telephony is significantly broadening, providing users with a variety of communication modes, including presence status, instant messaging and videoconferencing. Furthermore, telephony is being increasingly combined with a number of non-telephony, heterogeneous resources, consisting of software entities, such as Web services, and hardware entities, such as location-tracking devices. This heterogeneity, compounded with the intricacies of underlying technologies, make the programming of new telephony applications a daunting task. 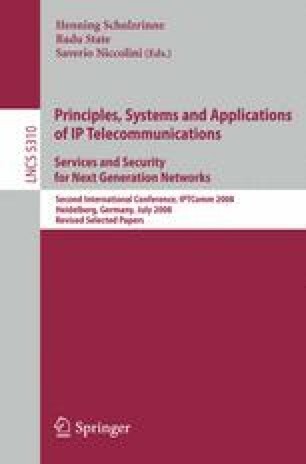 This paper proposes an approach to supporting the development of advanced telephony applications. We introduce a declarative language to define the entities of a target telephony application area. This definition is passed to a generator to produce a Java programming framework, dedicated to the application area. The generated frameworks provide service discovery and high-level communication mechanisms. These mechanisms are automatically mapped into SIP, making our approach compatible with existing SIP infrastructures and entities. Our work has been validated on various advanced telephony applications.